I can already predict the comments on this article before I even begin to make my case. And that’s exactly what the establishment wants. It doesn’t want you to ingest new information and perhaps change your point of view; it wants you to be loyal to The Party, regardless of which one of the two monoliths it hopes you belong to. There’s a reason the political establishment is made up of two parties, and for that reason Donald Trump is the greatest gift to that establishment in recent memory. Before you report this post as spam or react emotionally by accusing me of being a shill for Hillary Clinton, please see my other works, which have taken an equally (if not more) critical look at her awful record of war crimes, deceit, lies, and manipulation. You see, it actually is possible to oppose Trump and Hillary; I’m living proof. With that out of the way, allow me to make my case. Trump is running against the status quo, right? Not exactly. He’s working for it, and whether this is being done intentionally or not is of no consequence. It’s no secret Trump is the most polarizing politician in recent memory. But the groundwork for Trump’s ability to tap into the disgruntled American psyche was laid a long time ago. Bill Clinton was a nation-builder who got the United States tangled in foreign conflicts, helped perpetuate mass incarceration, and implemented the disastrous NAFTA trade agreement that decimated American manufacturing. Though George W. Bush ran against those policies, he simply made them worse by wrongly invading Iraq, then overseeing the housing bubble and subsequent financial crisis. Obama ran against the wars and Wall Street only to bail out the big banks once elected. He continued the war in Afghanistan, renewed the war in Iraq, and started several new ones all over the Middle East. He also joined a couple more unwinnable civil wars. Trump will run against all of that, and since Hillary was part of the Obama administration, that makes her an easy target. Every four to eight years it’s the other guy’s fault. I mean, they’re both right; Republican and Democratic policies are detrimental to our freedom and prosperity, but that point is completely missed by the loyal partisans who make up America’s voting populace. This ebb and flow of disastrous Republican policy to disastrous Democratic policy — and back again — is how the status quo holds onto its power. By pitting everyday Americans against each other based on Party loyalty, the populace is neutralized due to its internal fighting. Meanwhile, the parties themselves — save for a few social policies — are practically identical in their practices and only differ in name and rhetoric. 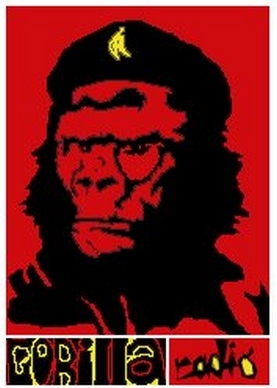 One party is eviscerated while the other one seizes power, only to see that cycle reverse itself each election season. But how can I claim Donald Trump is helping this duopoly of doom dominate? Trump is running against the Republican party and the establishment, right? Well, rhetorically speaking, yes, he is. But politicians say the darndest things. Trump is the Republican party now — he’s their standard-bearer. Trump is simply the culmination of years of the Republican party’s misleading anti-Muslim, anti-immigrant rhetoric finally paying off, though perhaps in a more abrasive way than party leaders had hoped. Trump is merely saying what a large proportion of American demographics have been led to believe through years of right-wing political and media rhetoric. Trump took their most extreme talking points and made them mainstream, and it’s this emergence into the mainstream that has turned 2016 into the most polarizing politicking year since the 1960s. And this plays right into the hands of the establishment. Trump’s misleading scapegoating of (insert minority here) is creating a culture of divisiveness that may be impossible to repair. White people, who have fallen for this Nazi-like rhetoric of blaming the “other” people for very real economic problems, are now solidified under Trump. With every anti-Trump protest — especially the ones that turn violent like last night in San Jose — CA, his base grows more loyal and afraid of minorities. With every protest, they grow more affectionate of this strong-man who claims he will protect them if elected. Meanwhile, every time Trump blames Mexicans or Muslims for the United States’ problems, American minorities grow more afraid of what might happen to them if he’s elected. Not only is Trump driving the Republican-Democrat divide, he’s also driving racial demographics apart — further splintering the already fractured American populace. Trump’s rhetoric alone has left Republican voter rolls flush with white nationalists and Democratic rolls overflowing with minorities willing to vote for Hillary for no other reason but to stop Trump. Trump has grown the Republican party with his candidacy, attracting the fearful to his messaging. He’s also drawn a loyal base of opposition that is visible at every campaign stop. People hate both Hillary Clinton and Donald Trump so much they will literally vote for one to deny the other the presidency. And as Americans, nearly all of whom have a common interest in prosperity, security, a better life, and a better standard of living, equally divide themselves against one another, the Parties relish in it — all of it. The Democrats get to whip up their base against Trump’s radical rhetoric, and the Republicans get to do the same against minorities, religious groups, and Hillary’s criminally dishonest past. Trump serves the establishment by having become the wedge used to separate American society, leaving them to fight amongst themselves while the true “powers that be” and policies they put in place come away unscathed. Vote all you want, but as long as the conversation is centered around who can stop Trump or who can beat Hillary, the country is in for a long hard disappointment by this time next year — when we realize (again) politicians make promises that are almost never kept. Even worse than do-nothing politicians getting elected, a culture of fear is incubating where whites and non-whites glare at each other in distrust or hate simply because they’ve been captured by the political rhetoric of the status quo that thrives on division. Trump’s divisive, hate-inspiring campaign is setting the stage for decades of safety for the political establishment. The last thing the oligarchs want is unity among disgruntled population that just might just set their gaze on them instead of each other. This article (Trump Is the Greatest Gift to the Establishment in Modern American Politics) is an opinion editorial (OP-ED). The opinions expressed in this article are the author’s own and do not necessarily represent the views of Anti-Media. You have permission to republish this article under a Creative Commons license with attribution to Nick Bernabe and theAntiMedia.org. Anti-Media Radio airs weeknights at 11pm Eastern/8pm Pacific. If you spot a typo, email edits@theantimedia.org. For instance, the lower house speaker who brought the charges, Eduardo Cunha, had to step down because he has $16 million stashed in secret Swiss and U.S. bank accounts. 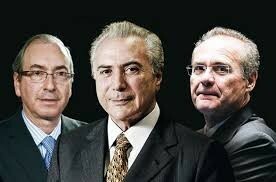 The man who replaced Cunha, Waldir Maranhao, is implicated in the corruption scandal around the huge state-owned oil company, Petrobras. 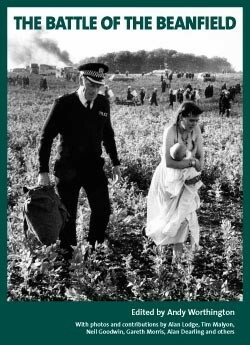 31 years ago, the British state, under Margaret Thatcher, committed one of its most violent acts against its own citizens, at the Battle of the Beanfield, when a group of travellers — men, women and children — who were driving to Stonehenge from Savernake Forest to establish what would have been the 12th annual Stonehenge Free Festival were set upon by tooled-up police from six counties, and the Ministry of Defence. The travellers were outnumbered three to one, while the police were at the height of their use as a paramilitary force by Margaret Thatcher. Buy my book The Battle of the Beanfield. Also available: Stonehenge: Celebration and Subversion. The End of America's Political Acquiescence: Just Saying "No More!" Arising from the shadows of the American repressed, Bernie Sanders and Donald Trump have been sending chills through the corridors of establishment power. Who would have thunk it? Two men, both outliers, though in starkly different ways, seem to be leading rebellions against the masters of our fate in both parties; this, after decades in which even imagining such a possibility would have been seen as naïve at best, delusional at worst. Their larger-than-life presence on the national stage may be the most improbable political development of the last American half-century. It suggests that we are entering a new phase in our public life. A year ago, in my book The Age of Acquiescence, I attempted to resolve a mystery hinted at in its subtitle: "The rise and fall of American resistance to organized wealth and power." 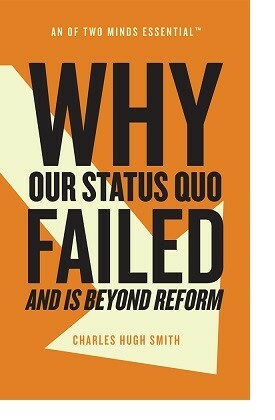 Simply stated, that mystery was: Why do people rebel at certain moments and acquiesce in others? Someday, these may be seen as the decades when the United States started hollowing out. First, good working-class jobs fled the country, while the “rust” spread through belts of industrial production, towns emptied, and the good times headed elsewhere. Then, infrastructure -- from bridges and highways to subways and dams -- began to fray. More recently, something else hollowed out, too: American politics. That may seem less than obvious in a season in which the political process has become a 24/7 media obsession. But think again. One of the country’s two parties managed to cough up 17 of the strangest candidates ever paraded on a stage, evidence of an organization that had clearly stumbled off a cliff, even as its voters elevated the P.T. Barnum of the twenty-first century to presidential status. The other party was so dead in the water that, as its leading candidate for the presidency, it could only cough up a former first lady and secretary of state who had lost her previous presidential run ignominiously and was dragging a caravan of rotten baggage behind her -- oh, yes, and one forgettable governor, as well as a senator who proclaimed himself a “democratic socialist,” but not (until late the other night) a capital "D" Democrat. And if that isn’t the definition of a political organization that seems to be rusting from the inside out, what is? 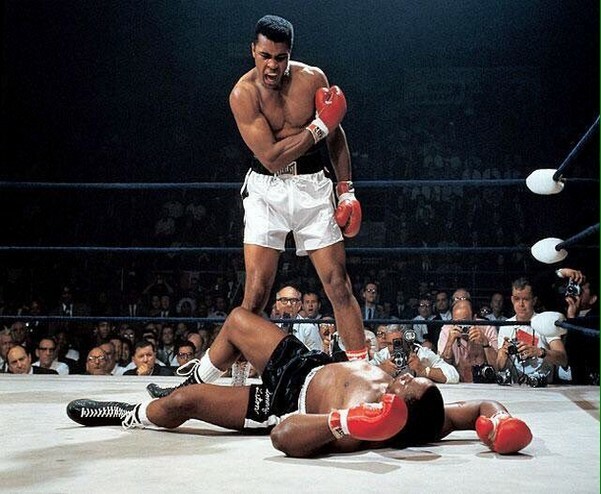 Why at certain historical moments have Americans shown a striking ability to rise up, at other times to submit? To answer that question, I explored those years in the first gilded age of the nineteenth century when millions of Americans took to the streets to protest, often in the face of the armed might of the state, and the period in the latter part of the twentieth century and the first years of this one when the label “the age of acquiescence” seemed eminently reasonable -- until, in 2016, it suddenly didn’t. But when you live for so long in the shade of acquiescence where hope goes to die or at least grows sickly, you miss such things. After all, if history has a logic, it can remain so deeply hidden as to be indecipherable... until it bites. So, for example, if someone had X-rayed American society in 1932, in the depth of the Great Depression, that image would have revealed a body politic overrun with despair, cynicism, fatalism, and fear -- in a word, acquiescence, a mood that had shadowed the land since “black Tuesday” and the collapse of the stock market in 1929. More importantly, those liberal elites were wise enough or malleable enough, or both, to surf the waves of rebellion of that time. Wisdom and flexibility, however, are only part of the answer to this riddle: Why did mid-twentieth century liberalism manage to reform itself instead of cracking up under the pressure of that sixties moment? The deeper explanation may be that the uprisings of those years assaulted liberalism -- but largely on behalf of liberalism. Explicitly at times, as in the Port Huron Statement, that founding document of the ur-New Left group, Students for a Democratic Society, at other times by implication, the rebellions of that moment demanded that the liberal order live up to its own sacred credo of liberty, equality, and the pursuit of happiness. Thanks to those mass rebellions and the persistent if less fiery efforts that followed for decades, the hypocrisy of exclusion, whether of blacks, women, gays, or others, would indeed largely be ended. Or so it seemed. The liberalism inherited from the New Deal had been cleansed -- not entirely to be sure and not without fierce resistance, but then again, nothing’s perfect, is it? End of hypocrisy. End of story. In the process, the New Deal Democratic Party’s tradition of resisting economic exploitation and inequality vaporized, while the “new Democrats” of the Clinton era and beyond, as well as many in the boardrooms of the Fortune 500 and in hedge-fund America, continued to champion equal rights for all. They excoriated conservative attempts to rollback protections against racial, gender, and sexual discrimination; but the one thing they didn’t do -- none of them -- was disturb the equanimity of the 1%. 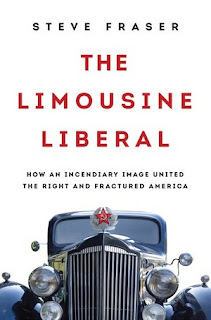 Given their hand in abetting this painful dilemma, the new Democrats seemed made for the already existing sobriquet -- a kind of curse invented by the populist right -- “limousine liberal.” An emblem of hypocrisy, it was conceived and first used in 1969 not by the left but by figures in that then-nascent right-wing movement. The image of a silk-stocking crowd to-the-manner born, bred and educated to rule, networked into the circuits of power and wealth, professing a concern for the downtrodden but not about to surrender any privileges to alleviate their plight (yet prepared to demand that everyone else pony up) has lodged at the heart of American politics ever since. In our time, it has been the magnetic North of right-wing populism. Nixon proved something of a political genius and his gambit worked stunningly well... until, of course, in our own moment it didn’t. Following his lead, the Republican high command soon understood that waving the red flag of “limousine liberalism” excited passions and elicited votes. They never, however, had the slightest intention of doing anything to truly address the deteriorating circumstances of that silent majority. The party’s leading figures were far too committed to defending the interests of corporate America and the upper classes. Others -- often their neighbors in communities emptying of good jobs and seemingly under assault -- are feeling the Bern. This represents yet another attack on neoliberalism of the limousine variety. Bernie Sanders proudly classifies himself as a socialist, even if his programmatic ideas echo a mildly left version of the New Deal. Yet even to utter the verboten word “socialism” in public, no less insistently run on it and get away with it, exciting the fervent commitment of millions, is stunning -- in fact, beyond imagining in any recent America. To a degree then, Trump and Sanders are competing for the same constituencies, which should surprise no one given how far the collateral damage of neoliberal capitalism has spread. Don’t forget that, in the Great Depression era as the Nazis grew more powerful, their party, the National Socialists, not only incorporated that word -- “socialism” -- but competed with the Socialist and Communist parties among the distressed workers of Germany for members and voters. There were even times (when they weren’t killing each other in the streets) that they held joint demonstrations. Steve Fraser, a TomDispatch regular, is the author of The Age of Acquiescence, among other works. 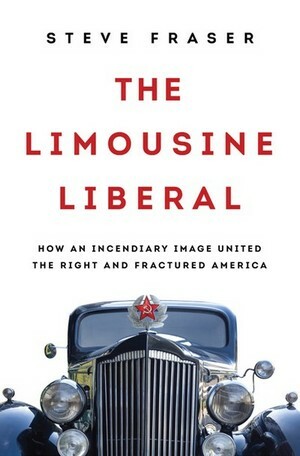 His new book is The Limousine Liberal: How an Incendiary Image United the Right and Fractured America (Basic Books). He is the co-founder and co-editor of the American Empire Project. It’s a SeaWorld moment for the Cincinnati Zoo. 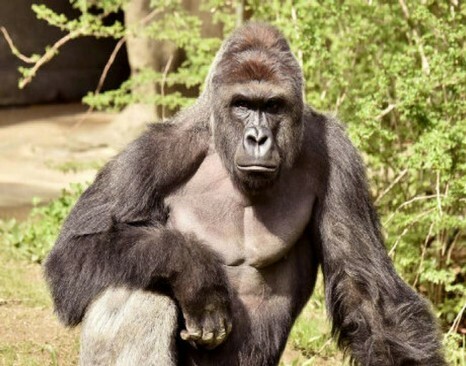 A gorilla named Harambe has been shot and killed. And just as Blackfish—the film exposing everything wrong with using orcas for human observation and fun—reverberates beyond SeaWorld and challenges the existence of aquaria generally, so will Harambe force the public to rethink gorillas wherever we look at them. Harambe’s life, we now must note, was marked by isolation from this gorilla’s own parents, and by alienation, transit and objectification. Ken Boon is a Peace Valley farmer standing to lose his livelihood should Site C be built. He's also the president of the Peace Valley Landowners Association, and one of the six cited by the Crown corporation in its suit for, “intentional interference with economic relations by unlawful means.” What that interruptus means for Boon, and future protest in the province, is something the BC Civil Liberties Association says is of “grave concern” to it. And; Afghanistan, Iraq, Libya, Syria, and Ukraine too, the NATO crusade has lots to brag about, if smashing countries to remnant pieces is their measure for success. That these "victories" were all for the betterment of the people whose lives have been shattered doesn't go without saying - we're informed of the humaneness of NATO's necessary slaughters with such regularity some are beginning to wonder if they don't profess their goodliness too much. 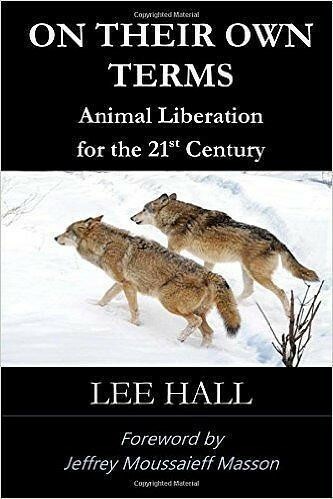 Mark Taliano is a Canadian writer, researcher, and activist who, after a career instructing the youth of the nation, has turned his attention to educating the rest of us. His articles can be found at Global Research, American Herald Tribune, IntrepidReport, and at Pacific Free Press, among other places. His latest article, 'US-NATO’s Fake “Humanitarian” “War on Terrorism”, Defiant Syria' is further indictment of the West's systemic warfare cloaked in the robes of peace. Israeli society is constantly swerving to the Right and, by doing so, the country’s entire political paradigm is redefined regularly. Israel is now ‘ruled by the most extreme rightwing government in its history’ has grown from being an informed assessment to a dull cliché over the course of only a few years. While many commentators rightly pointed to Lieberman’s past provocations and wild statements - for example, his 2015 statement threatening to behead Palestinian citizens of Israel with an axe if they are not fully loyal to Israel; advocating the ethnic cleansing of Palestinian citizens of Israel; his death ultimatum to former Palestinian Prime Minister, Ismail Haniya, and so on - his predecessor, Moshe Ya'alon, was spared much blame. 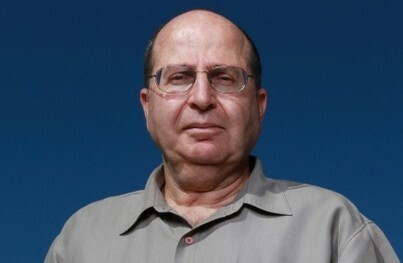 Worse, the former Defense Minister, Ya’alon, was regarded by some as an example of professionalism and morality. He is 'well-regarded', wrote William Booth in the Washington Post, compared to the 'polarizing maverick' Lieberman. But ‘well-regarded’ by whom? By Israeli society, the majority of whom support the cold-blooded murder of Palestinians? Thanks to Lieberman - the former Russian immigrant, club bouncer-turned-politician who is constantly rallying the roughly one million Israeli Russian Jews around his ever-violent political agenda - Ya’alon is now an example of level-headedness and morality. Ya’alon, who received military training early in his career at the British Army's Camberley Staff College, continued to rise in rank within the army until 2002 when he was appointed Chief of Staff of the Israeli Defense Forces. He was in that post for nearly three years, as a result of which he ordered the assassination of hundreds of Palestinians and oversaw various massacres that were carried out by the Israeli army during the Second Intifada. His post was terminated by the then Defense Minister, Shaul Mofaz, in 2005. In this case, too, it was immorality, not morality, that played a role in the conflict between him and his superiors. Ya’alon was - and remains - an ardent advocate for the illegal colonialization of Palestinian land. In 2005, he vehemently rejected the so-called redeployment from the Gaza Strip, in which a few thousands illegal settlers were relocated to Jewish colonies in the West Bank. His war crimes caught up with him in New Zealand in 2006 - over the assassination of a Hamas commander, Saleh Shehade, together with 14 members of his family and other civilians. An arrest order was issued but revoked later, under heavy political pressure, allowing Ya’alon to escape the country. “We went through a very long deep discussion. We did it then, we did it in (the) Gaza Strip, we are going to do it in any round of hostilities in the future,” he said. He also spoke implicitly of dropping a nuclear bomb on Iran. In his first public remarks since his resignation, Ya'alon accused a ‘vocal minority’ in Israel of targeting the country's "basic values", stating that the country's "moral compass" has been lost.